Python is a popular high-level programming language created by Guido van Rossum. It was released in 1991. It has advanced data structures and OOPs concept with a simple syntax. It is used in giant companies such as Yahoo, Google, NASA. Our course syllabus prepared by top leading MNC experts and suits for freshers and also experienced professionals. 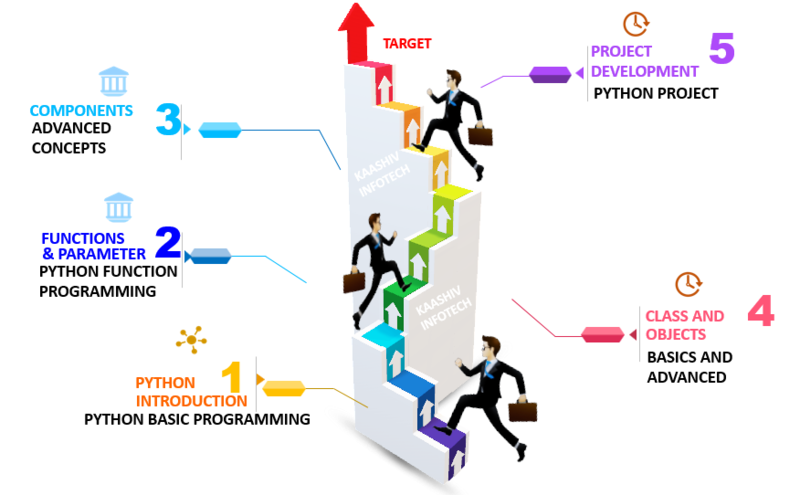 Why KaaShiv InfoTech Company to learn Python Training in Chennai? Kaashiv provides Best Python Training in Chennai with professional trainers who provide real-time training and also projects to the candidates for better understanding. Why Students Enroll for real time Python Training in Chennai ? For Python Training 120 concepts from Basics to Advanced will be covered.